Stupid Science to the Rescue: Just When You Thought You’d Heard It All! Astounding Discovery: Local Property Values Dropped After Fukushima Nuclear Disaster! We Are SOOOO Fortunate to Have Science to Guide Us! We Non Scientists Would Never Have Guessed! There is not much funny about Fukushima. Hard to find a belly laugh in radiation poisoning, lies, deceit, cancer, heart disease, diabetes, infertility, birth defects in coming years, trauma and dislocation of lives, a poisoned planet and genetic damage that will last as long as life on this planet. But you have to hand it to science and scientists! Those intrepid truth-seekers find truths everywhere that you and I have nerver even imagined! Why, the wonder of it fair takes your breath away!. Somebody gave these wonder men and women money to figure out the BIG question: What happened to land values close, very close, to Fukushima. And here, now, without further ado, for us simple non-science folks to gawk at and wonder over is a paper by Fumihiro Yamani, Hideaki Ohgaki and Koto Asano published in Risk AnalysisVolume 33, Issue 11, November 2013, Pages 2023–2040 . Its title? 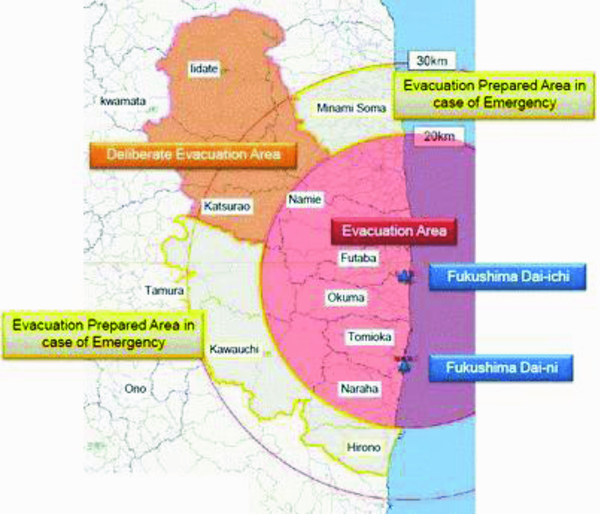 The Immediate Impact of the Fukushima Daiichi Accident on Local Property Values. And you know what? THEY WENT DOWN! Amazing! Land values went down just outside the power plant where at least 3 nuclear reactors, possibly 4, were destroyed and emitting staggeringly high levels of radiation. WOW! Who would have imagined such a thing? It took three scientists to figure that out using all sorts of mathematical models, formulas, tables and real scienc-y stuff! Now, these scientists did not look at the health of vaccinated vs. unvaccinated kids and adults. They did not look at the impact of feeding radioactive meat from Fukushima cattle to school kids or the results of burning the radioactive wreckage of Fukushima in the open atmosphere around Japan after hauling it there by truck. Or of GMOs on our genes and our future. Or whether vaccines work and are even marginally safe. No. That’s not science. The science is settled! That must be true because we heard it on TV! The scientists tried to figure out if the sale prices of property on the edge of Fukushima went down AFTER the disaster making it lower than it would have BEFORE the disaster. What that means is “The value of the land dropped dramatically. We did not find any relationship between how much it dropped and how close it was to the nuclear power station. Perhaps that is not surprising because there is no data on that. Maybe the actual prices were lower, because, after all, what do we know? Not much because our results may be underestimating the actual losses. I know I’ll sleep better tonight knowing the worth of the land near a world-changing nuclear disaster actually went down. Stranger than science!